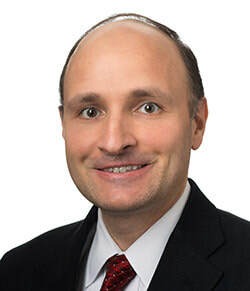 Laser eye surgeon Dr. Paul Bryar is a board certified ophthalmologist and a Professor of Ophthalmology at Northwestern University Medical School. He is one of the founding physicians of Northwestern Medicine LASIK Physicians. Dr. Bryar also serves as the team ophthalmologist for the Chicago Blackhawks. Dr. Bryar completed his residency in ophthalmology at Northwestern University. He subsequently completed a fellowship in Ophthalmic Pathology at the University of Wisconsin at Madison followed by additional training and certification as a refractive surgeon at Northwestern University. Dr. Bryar graduated medical school with honors from University of Illinois at Chicago, and received his undergraduate degree from Georgetown University. Dr. Bryar is certified by the American Board of Ophthalmology, and is member of the American Academy of Ophthalmology. He is a member of the Association for Research in Vision and Ophthalmology. Dr. Bryar has published articles in numerous ophthalmology journals and is involved in research aimed at optimizing refractive surgery outcomes. He has authored sections in PRK and LASIK for the American Academy of Ophthalmology’s Review for Practicing Ophthalmologists. He has been an invited lecturer at various institutions on the subjects of laser vision correction and incorporating technology into medical practice. Dr. Bryar has been recognized as an outstanding physician by Best Doctors in America. He received the Best Teacher of the Year award by the Chicago Curriculum in Ophthalmology. Dr. Bryar is a member of Alpha Omega Alpha, the national medical honor society.